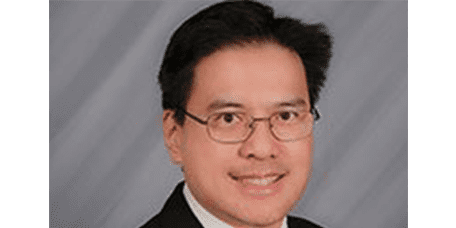 Tooth Extraction Specialist - Torrance, CA: Eugene Y. Yang, DDS: General & Cosmetic Dentist: Eugene Y. Yang, DDS, INC.
Having a tooth extracted, or removed, may be necessary to remedy decay, disease, pain, or trauma. Wisdom teeth are commonly removed because they’re painfully impacted or crowding other teeth. Dr. Eugene Y. Yang has the expertise and experience you want from a dentist when you need to undergo an extraction. From his office at Eugene Y. Yang, DDS, in Torrance, California, he offers a complete range of general dental services, including tooth extractions, for patients in the greater South Bay area. If you suspect you may need an extraction, call the office or book your appointment online today. When you think of a tooth extraction, chances are that wisdom tooth removal is the first thing that comes to mind. That’s because wisdom teeth are removed for a variety of reasons: They may be impacted, or stuck beneath your gums, or they may not have enough room to erupt all the way. Partially-erupted wisdom teeth act as a breeding ground for bacteria around the broken gum, causing pain and possibly infection. Growing or erupting wisdom teeth can also be painful. Other teeth can become candidates for extraction when they’re so infected that they can’t be saved by a filling or a root canal. Abscessed teeth and teeth badly damaged by trauma are also commonly extracted. At Eugene Y. Yang, DDS, tooth extraction is an in-office procedure performed with local anesthetic. Dr. Yang administers the local anesthetic with an injection that numbs the treatment area. Unlike general or sedation anesthetics, you won’t fall asleep or feel hazy. During the procedure, Dr. Yang makes an incision in your gum tissue to expose the tooth and bone, and he removes any bone that blocks access to the root. If your tooth is easier to remove in pieces, he divides it into sections. Once the tooth is removed, Dr. Yang cleans the area, stitches the wound closed, and places gauze over the site to help control bleeding and promote blood clot formation. After a tooth extraction, your body’s healing mechanisms form a blood clot to slowly fill in the bone where the tooth was. This part of the healing process can take 24 hours or longer, depending on a variety of factors. It’s important to maintain a very clean extraction site, keeping the socket clear of any food or debris. You should avoid rinsing your mouth for the first 24 hours to promote faster healing. When you are able to rinse your mouth once again, do it gently so you don’t damage the blood clot that’s still forming. It’s also important to avoid alcohol for at a few days following an extraction, as it can encourage bleeding and slow the healing process. You can continue to brush as you normally would, just take care to avoid the teeth on either side of the extraction, and the tender site itself.